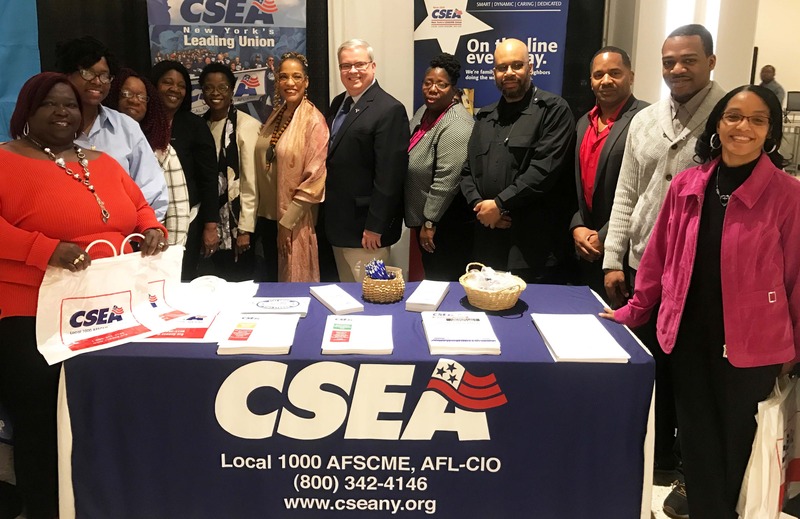 Statewide Secretary Denise Berkley and Capital Region President Ron Briggs joined officers and activists from across the state at the annual NYS Black and Puerto Rican Legislative Conference in Albany. Members took part in workshops and discussions that ranged from the state budget, mental health services and education to criminal justice reform and housing. Photo by David Galarza.